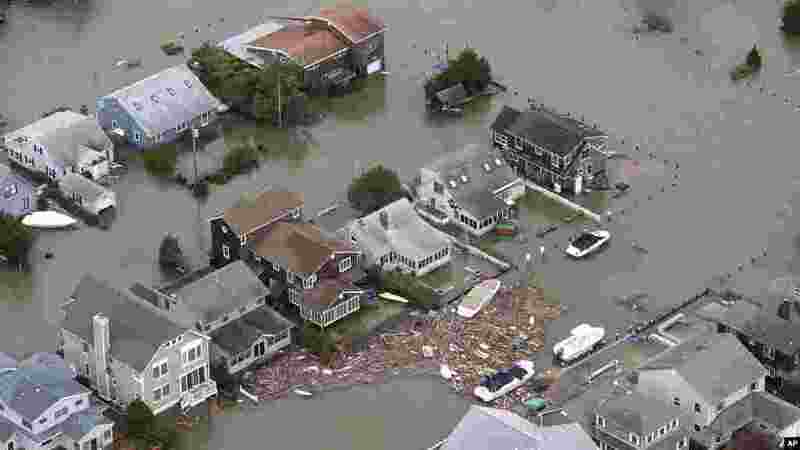 The storm devastated communities up and down the east coast of the United States. It is blamed for causing more than 100 deaths and an estimated $65 billion in damages. 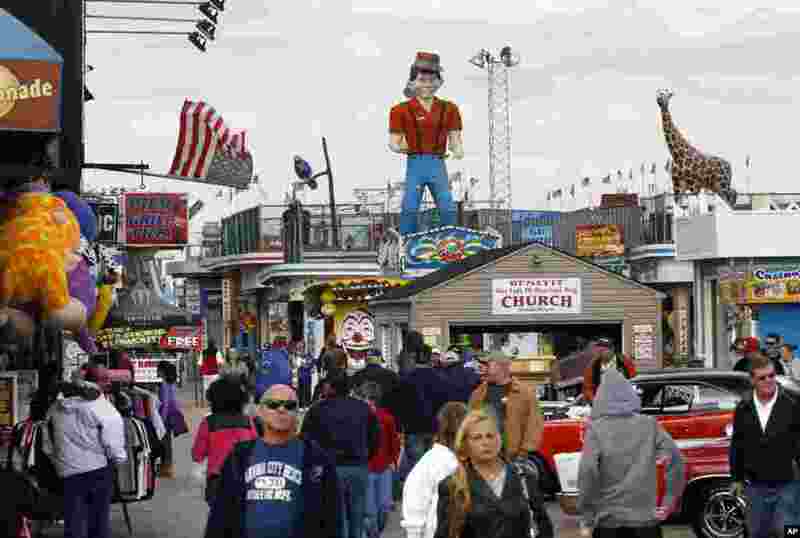 1 People walk along a rebuilt portion of boardwalk a year afer it was destroyed by Superstorm Sandy, Seaside Heights, New Jersey, Oct. 13, 2013. 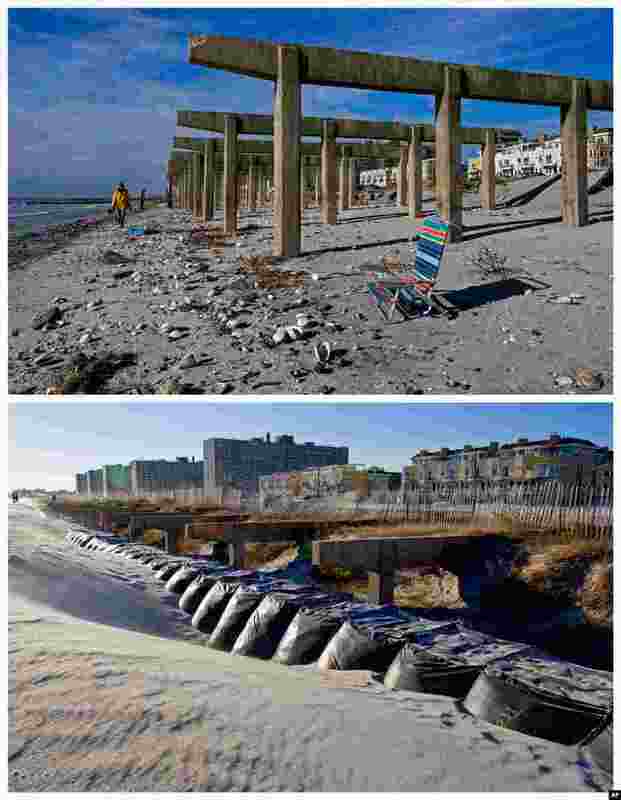 2 This combination photos shows the beach under what is left of the boardwalk in the wake of Superstorm Sandy in the borough of Queens, New York on Nov. 5, 2012 and Oct. 21, 2013. 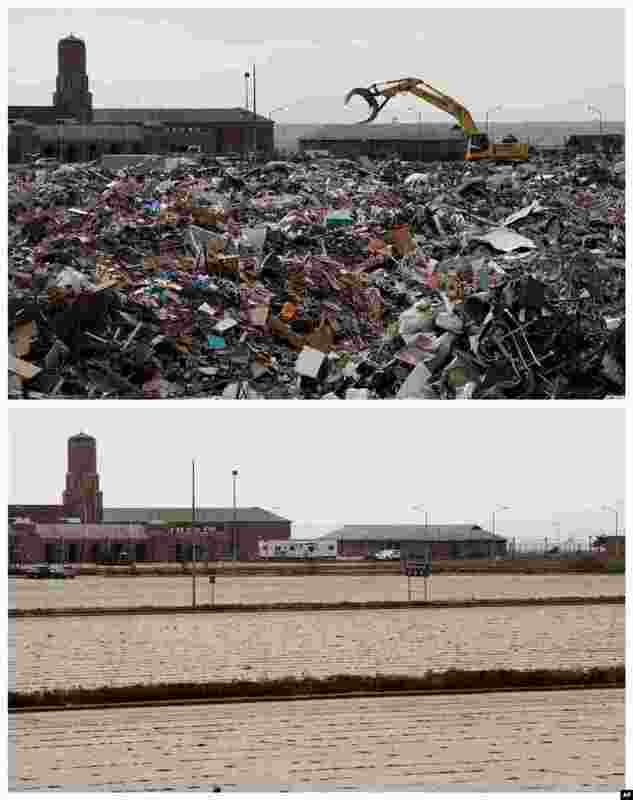 3 This combination of Nov. 14, 2012 and Oct. 17, 2013 photos shows construction equipment working on debris collected during the cleanup from Superstorm Sandy in the parking lot of Jacob Riis Park in the Rockaway section of New York. 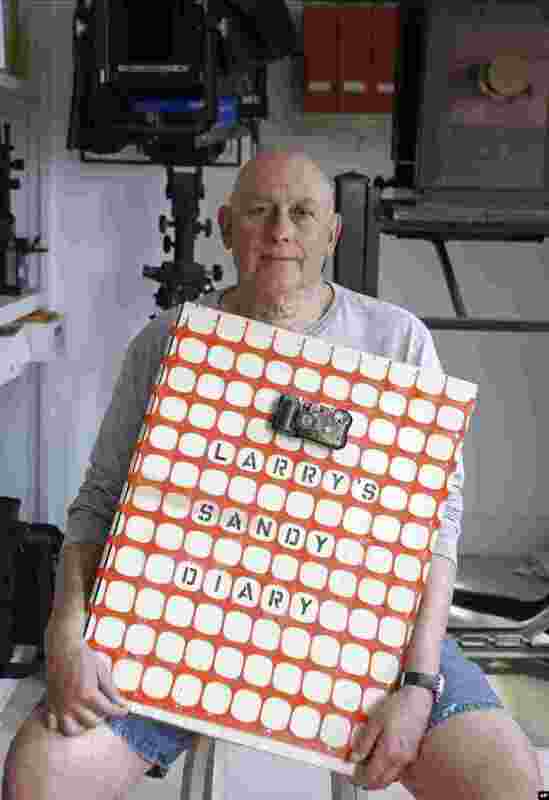 4 Larry Racioppo, a retired photographer for New York City's Housing and Preservation Department, displays his personal diary and photo album at his home in the Belle Harbor section of Queens, New York, Oct. 15, 2013. 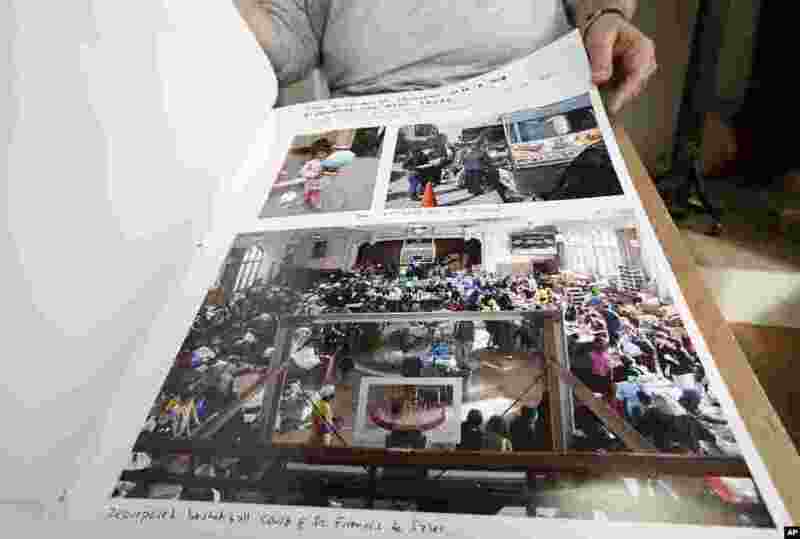 5 Photographer Larry Racioppo's album is part of "Rising Waters," an exhibit of 200 photographs taken after Superstorm Sandy in New York, Long Island and New Jersey. 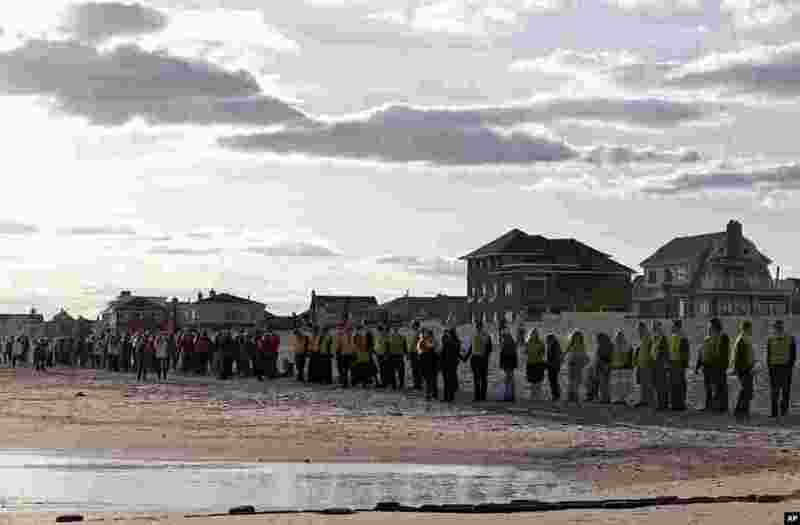 6 People line up along the beach in Belle Harbor during the "Rockaway Rising: Hands Across the Sand," commemoratation of the one year anniversary of Superstorm Sandy, Oct. 27, 2013, in New York. 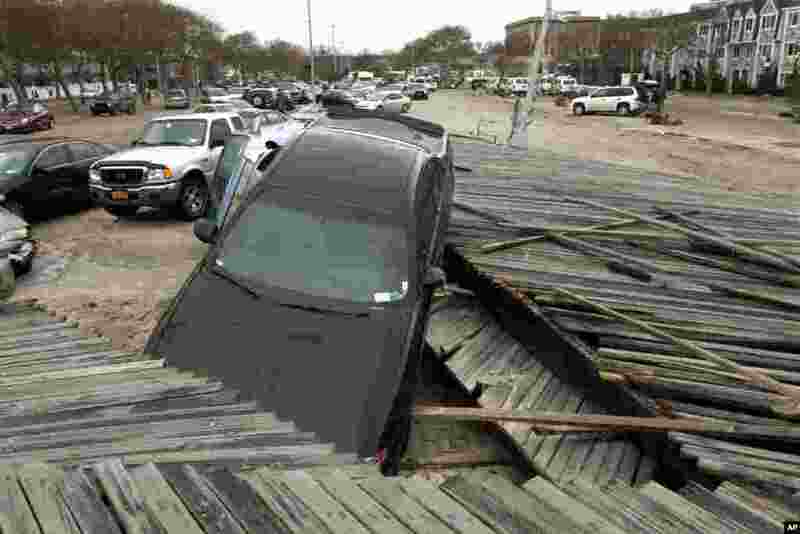 7 Pedestrians walk past the boardwalk and cars displaced by Superstorm Sandy, near Rockaway Beach, Queens, New York, Oct. 30, 2012. 8 This photo made available by the New Jersey Governor's Office shows flooding and damage in Seaside, N.J. on Oct. 30, 2012. 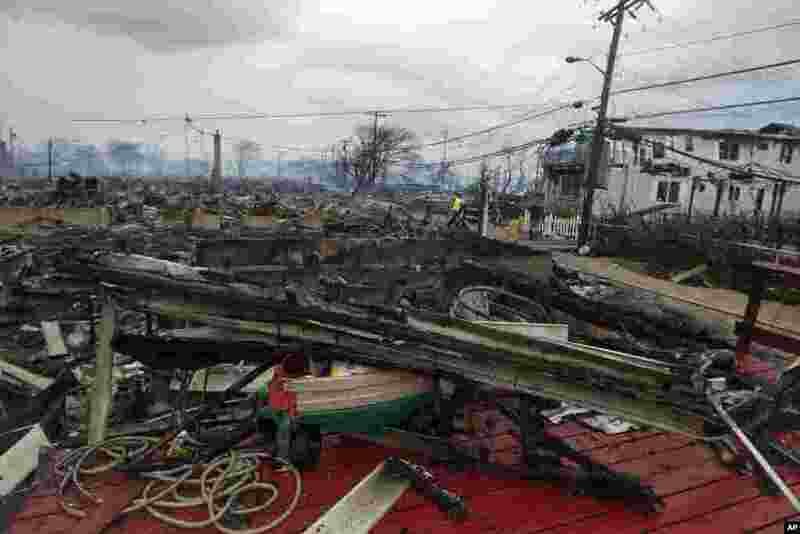 9 Homes devastated by fire and Hurricane Sandy, Breezy Point, Queens, New York, Oct. 30, 2012. 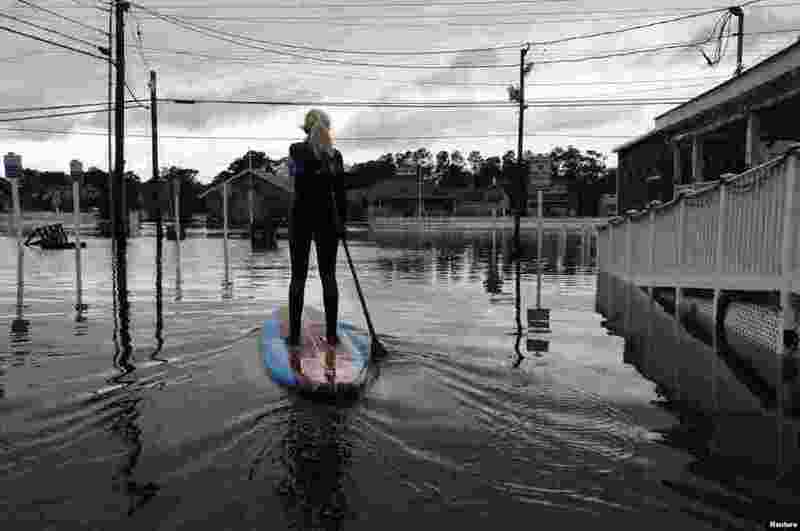 10 Zoe Jurusik paddleboards down a flooded city street after Hurricane Sandy in Bethany Beach, Delaware, Oct. 30, 2012.